The Teaching and Learning System—a hallmark feature of Principles of Managerial Finance—weaves pedagogy into concepts and practice, giving students a roadmap to follow through the text and supplementary tools. The 15th Edition concentrates on the material students need to know in order to make effective financial decisions in an increasingly competitive business environment. It allows students to make the connections between a firm’s action and its value, as determined in the financial market. With a generous amount of examples, this text is an easily accessible resource for in- and out-of-class learning. MyLab™ Finance is the teaching and learning platform that empowers you to reach every student. By combining trusted author content with digital tools and a flexible platform, MyLab personalizes the learning experience and improves results for each student. Learn more about MyLab Finance. Pearson MyLab Finance should only be purchased when required by an instructor. Please be sure you have the correct ISBN and Course ID. Instructors, contact your Pearson representative for more information. New - The 15th Edition features 19 chapters divided into eight parts. Each part gives a brief overview, intended to give students an advanced sense for the collective value of the chapters included in the part. New - Opener in Review question asks students to apply a concept that they learned in the chapter to the business situation described in the opener. Updated - with problems to each chapter, require students to use real-world data to reach a solution. New/Updated - Part V features chapter discussions of economic value added using data from Exxon. Mobile Corp. Chapter 2 in this part explains how financial analysts construct cash flow projections, which are a required component of net present value analysis. The final chapter in Part V describes how firms analyze the risks associated with capital investments. The overarching organization helps students to make connections -- each major decision is presented in terms of both risk and return factors and their potential impact on an owner’s wealth. Focus on Value at the end of each chapter helps reinforce students’ understanding of the link between a financial manager’s actions and a firm’s share value. Why This Chapter Matters to You helps motivate interest by discussing how the topic relates to the concerns of other major business disciplines and personal finance decisions. Personal Finance links the concepts, tools, and techniques of each chapter, and problems can also be found throughout the homework material. In today’s world international considerations are essential to the study of business in general -- and finance in particular. Discussions of international dimensions are integrated throughout the chapters, learning goals, and end-of-chapter content. 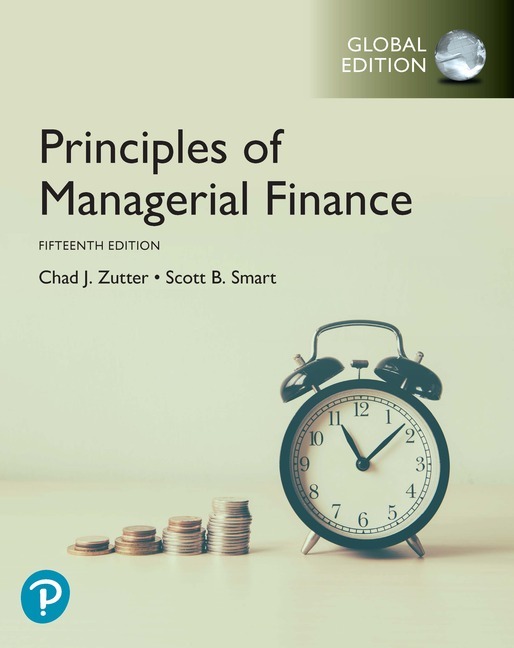 For instructors who devote more time to this topic, a separate chapter on international managerial finance is available at the end of the text.